Young Todd could barely catch his breath as the neighbor’s dog attempted to chase him down. He hid behind the playground wall that was just high enough to cover his entire body. Todd’s heart pounded with fear as he tearfully pleaded with his own thoughts for the dog to go away. In his mind this was a matter of his life being on the line. He was a long ways from home at this point. 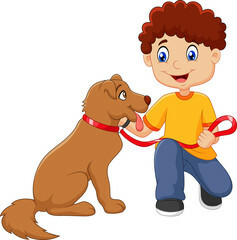 The young boy had always struggled with a borderline phobia of dogs. Dogs were mean, hateful, and always seemed to chase or bark at him relentlessly. He had never even patted a puppy before for the fear that the puppy would bite him. Though his brothers would love to own a puppy one day, their parents have always opposed because of Todd’s fear. After less than a minute of searching for Todd, the neighbor’s dog finally gave up and left. Little did the young boy understand, all the dog wanted to do was play. Still, in Todd’s head, that dog wanted to eat him skin and bones. No sense in taking chances and playing with fire. Todd and his mother went inside the house where there were leftovers ready for him on the table. After finishing up dinner, Todd heads to bed and is tucked in by his mom. Next thing Todd knows he is in a dream. Though, apart from most dreams, this dream seemed magically real. Todd starts off walking through the lobby of a building. His is the only one around but can hear slight commotion from behind the walls. Suddenly, tall, light brown double doors appeared that led to behind the walls. Oddly enough, at the moment, Todd had no sense of fear. Having nowhere else to go he opened the doors to walk through. Todd was now in a gigantic room filled with people everywhere – so many that he could not count. Todd was a short kid anyways, so even if he could count that high he would not be able to see overhead enough to look yonder. The sea of people parted as they created a pathway for the young boy. By this point all the chatter settled and all eyes were on Todd as he naturally walked down the aisle. It was as if Todd knew where to go. On the other hand, he had no other direction to go. Still, there was a strange sense of peace in him. Eventually his gaze left the crowded people to focus straight ahead up the aisle. What he almost saw now was a man – though he wasn’t fully a man. Todd vision was distorted a little as his eyes tried to figure out what he was looking at. He’d never seen a man like this before. He was half man, half spiritual-like, wearing a long robe. When Todd was finally directly in front of the man his eyes finally adjusted to see the angelic being in front of him. Todd was in awe. The hairs on the man’s head were white, like snow. His eyes were like a flame of fire. Still, Todd felt a calmness that he never felt before. The man standing before Todd then slightly bent over to hover above him. Instantly, dozens of dogs came from behind the angelic man coming toward Todd. Though his inclination was to panic, this time he could not do so. The dogs looked different. He could absolutely see they were dogs. That did not change. What Todd sees now is “Love” in the dogs. It was as if Todd was looking at multiple real-life hieroglyphics in a 4th dimension. Todd can see his mother, his father, brothers, his favorite teacher, his favorite food, all his warm life moments, AND each dog simultaneously…all while he looks at the dogs. Todd could not believe it. For the first time he did not want to run. He wanted hug all the dogs. And that is exactly what he did. With all joy. The man, still standing there then uttered, “You see Todd, I create Love. Nothing that I create is bad. You view things dimly. I have the ability to open your eyes to more joy. Now wake up, and see”. Next Next post: The Answer: Why do Black People Tend to Think Whites Are Racist Or Hateful Toward Blacks?